Pusheen Box Subscriptions Are Open! 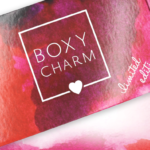 Winter 2017 Box Time! Yay! 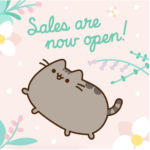 The waitlist for the Pusheen Box is open! You can now sign up for the Winter 2017 Pusheen Box! Pusheen Box is $43.95 + $6 Shipping to the US, and ships mid-October. weird. This will be my 4th box and I have never had any problems with the quality of any of my items. It’s all been pretty nice and well made. I would LOVE a Pusheen blanket! Oh I would love a mug…or a set!!!! I so, soooo desperately want some pusheen fluffy slippers. Fingers crossed! What does everyone do with their boxes? I can’t bring myself to throw them away because they’re so cute! I’ve kept one totally in tact for storage for all the Pusheen items I will use in the future. If you want to do it all you’ll need is some scissors and clear tape! The tape is for the edges to smooth down the cut parts. I think maybe a box cutter will be easier to cut it but I don’t own one. Thanks for sharing the box idea! I am definitely going to try that! I’m not sure if you can tell but on one of the boxes I left the side flaps on and I cut the other boxes off. If you leave the flaps you will still be able to have it as a closed box! I’m excited already, just from looking at the adorable pics! I loved Summer and Fall and these pics give me hope that the trend will continue! I can’t wait! I hope it arrives before Christmas! If this box will be Pusheen gingerbread themed I will think I had died and gone to heaven. This posting says it ships mid October, it should say mid December. It’s going right under the tree when I get it!